Iraqi Leader Reconsiders U.S. Troop Withdrawal In recent weeks, Iraq's prime minister has done a turnaround, saying he'd support keeping some U.S. troops in the country beyond the withdrawal deadline. But in order to become prime minister in the first place, Nouri al-Maliki had to promise people like the radical cleric Muqtada al-Sadr that American troops would leave. Supporters of cleric Muqtada al-Sadr march in front of two large Iraqi flags with the Arabic words "God is great," in the Sadr City district of Baghdad on Thursday. Tens of thousands of Sadr's followers rallied to demand the U.S. military leave Iraq at the end of the year. Iraqi Prime Minister Nouri al-Maliki has been saying for months that he'll stand by his agreement with the U.S. for the withdrawal of all American troops from Iraq by the end of this year. In recent weeks though, Maliki has done a turnaround. Now he says he'd support keeping some troops in the country after the deadline, if he can get a majority of Iraq's politicians to agree. Maliki outlined his position in a news conference, saying he's willing to meet Iraq's elected officials and consider whether some U.S. troops should stay beyond this December. "We won't get unanimous agreement on this issue," Maliki said. "But if we get 70 or 80 percent, isn't that the will of the people? Isn't this the democracy we have worked so hard for?" Before the speech, few thought Maliki would be bold enough to take such a position in public, mainly because many Iraqis still view an American troop presence as an occupation. Now, though, Maliki's advisers, along with officials in the U.S. military, are working on changing the narrative. They're not combat troops anymore, they say. The soldiers who'd be here next year wouldn't even be advisers. 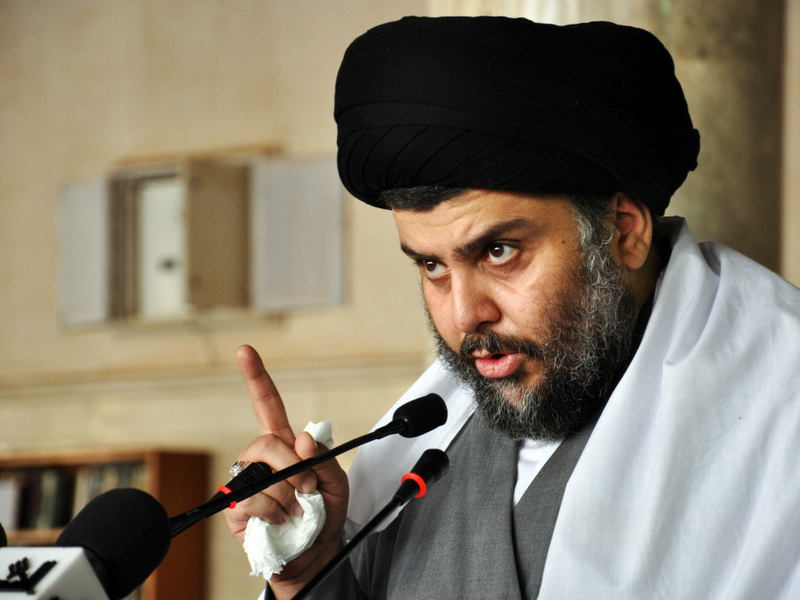 Al-Sadr speaks at Friday prayers in Kufa, Iraq, earlier this month. What they'd be, says Thar Fayli, an influential member of Maliki's party, are technical experts. "If we are going to build Iraq, still we need experts, still we need technical support," Fayli says. "Germany — full of American experts now. Turkey — lots of experts, they are not occupiers. Japan — they have American engineers, experts, even troops there. Nothing wrong with that." The problem is that in order to shore up a powerful enough coalition to become the prime minister in the first place, Maliki had to promise people like the cleric Muqtada al-Sadr that American troops would leave. Fayli says Maliki didn't change his position — he just added to it. And that, Fayli says, is what politicians have to do sometimes. "And this is not just politicians — this is in any field. If I'm a businessman, I put one product today. I don't say my next product in six months," he says. Sadr doesn't see it that way. He's launched an information campaign of his own. This past week, he sought to remind people that he's a force to be reckoned with, when tens of thousands of his supporters took to the streets of Baghdad, stomping on images of U.S. flags and demanding that every American soldier be gone by the end of this year. Sadr's militia, the Mahdi Army, marched the streets in formation but didn't carry arms. 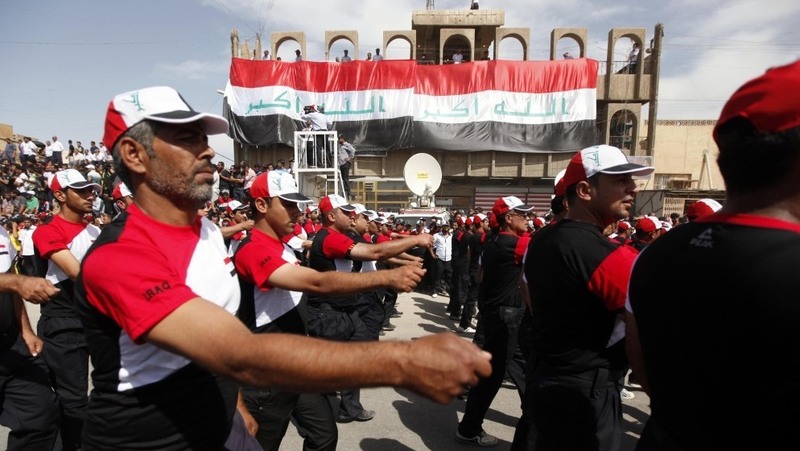 The militia fought American and Iraqi troops on several fronts during the past eight years and was instrumental in the sectarian bloodletting in 2006 and 2007. The group put down its weapons in 2008. In an interview with the BBC's Arabic channel, Sadr reiterated previous threats to reactivate the Mahdi Army if U.S. troops stay. Attacks against American interests have already increased in recent weeks. After the march, Sadr's followers said American troops aren't just technical experts, like the Russian or French experts who trained the Iraqi military in the past. "We had an agreement that the American troops would leave," says Karim Fadhil, who watched the march from the sidelines. "Now they want to make a new agreement. And then next year, they'll just do the same thing again. It only leaves us in chaos." Analysts in Iraq say a new agreement between the U.S. and Iraq to authorize some 20,000 American troops beyond December is likely. There are just under 50,000 troops now. But like other political debates in this deeply divided country, they say, it's going to be a long and drawn-out fight.